Channing Tatum Hits Up the ‘Kingsman’ Sequel! Taron Egerton and Mark Strong will reprise their roles, and I’m hearing that Colin Firth will be back as well, but going on the first film, I don’t see how that will be possible. But hey, I welcome him back. 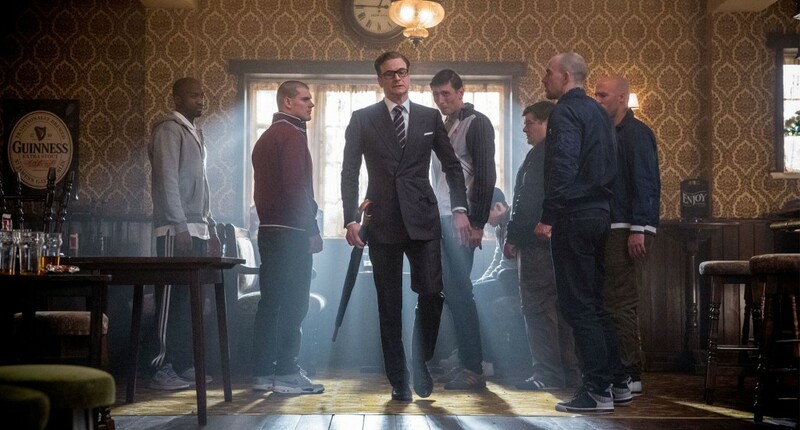 New castmembers are Julianne Moore, Halle Berry, and Pedro Pascal and will follow Egerton as he becomes one of the best British spies in the ‘Kingsman’. We don’t know what Tatum’s role is yet, but supposedly he’s been offered a number of roles in the film. Whatever the role is, I’m sure it will be memorable. I was a huge fan of the first film. It was the perfect mix comedy, violence, and action. I can only imagine that this sequel will one up the previous film, which will be difficult to do, because the last one was so good. Check out the extended trailer for ‘Kingsman: The Golden Circle’!!! Sir Elton John Joins Cast For ‘Kingsman: The Golden Circle’!!! Film Review: ‘Kingsman: The Golden Circle’! Taron Egerton Is Back For ‘Kingsman 2’ With New Villain!!! This entry was posted on Wednesday, April 13th, 2016 at 10:51 pm	and is filed under Film, News. You can follow any responses to this entry through the RSS 2.0 feed. You can skip to the end and leave a response. Pinging is currently not allowed. « Meet The Grinch Who Will Steal Christmas – Benedict Cumberbatch!! !